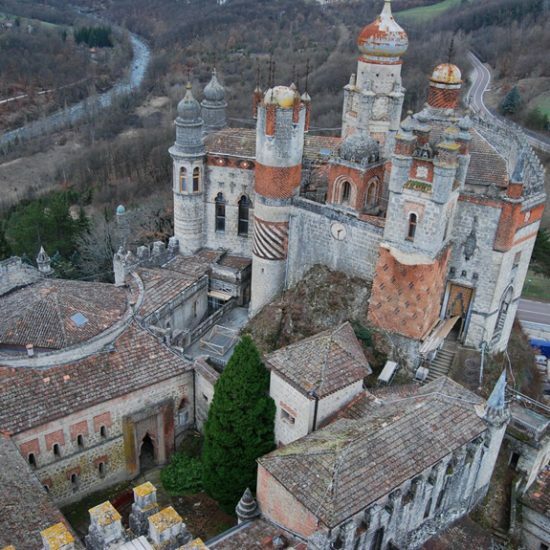 The Rocchetta Mattei is situated in the Tuscan–Emilian Apennines, 45 kilometres from Bologna, on the road that connects the administrative centre of the region with Porretta, just beyond the village of Riola, in the Savignano area, in the municipality of Grizzana Morandi. 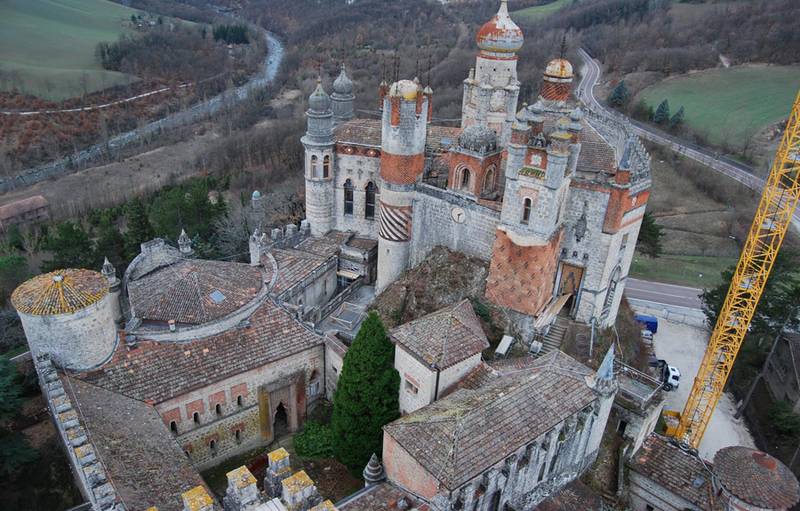 The castle was begun in 1850 by Count Cesare Mattei over the ruins of an ancient castle that included a church and cemetery, founded in 1200, the remains of an ancient fortified seat that was part of the property of Matilde di Canossa, which in at the time was known as the Borgo di Savignano-Longareno. 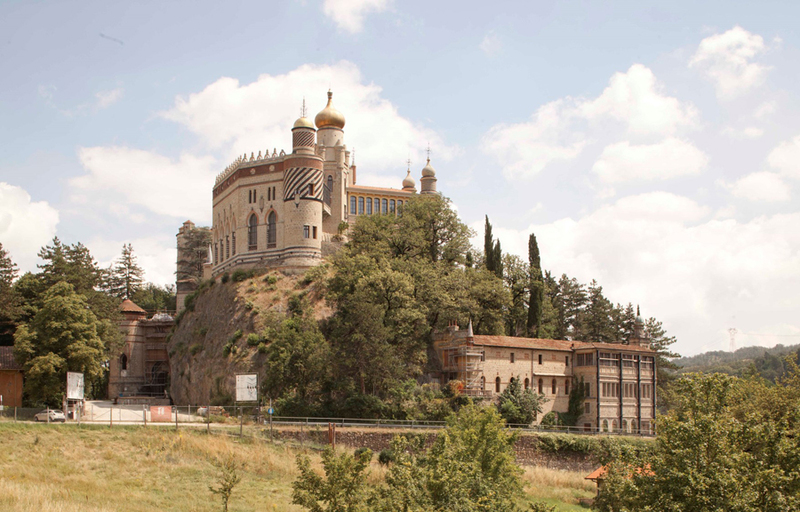 Mattei, having chosen that spot after a long search, moved there definitively in 1859, personally directing the building work and “keeping artisans of every trade under his command.” During his lifetime the Count modified the structure many times, rendering it an intricate labyrinth of rooms of various styles, towers and staircases. 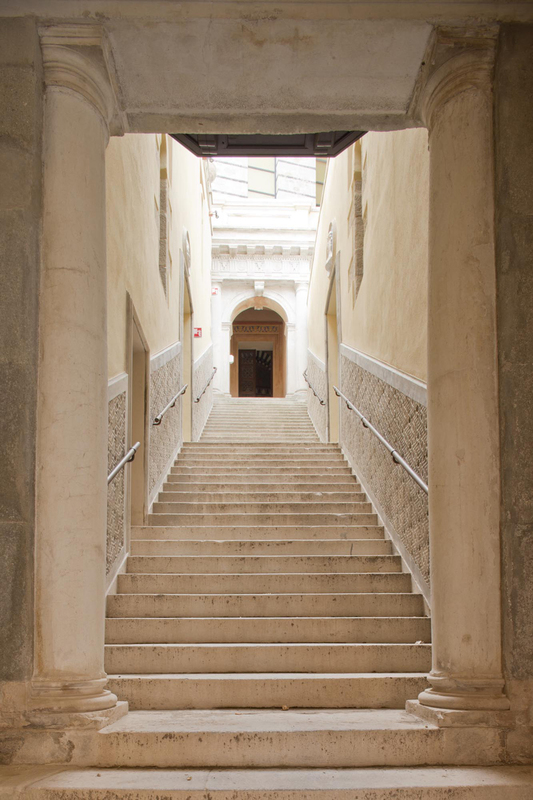 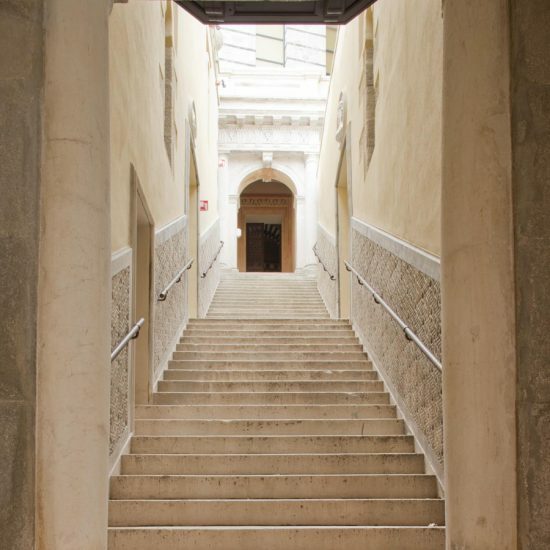 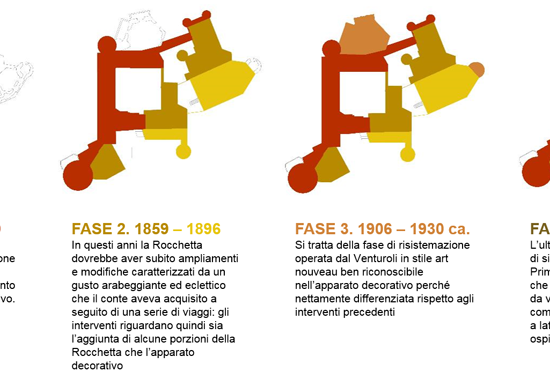 Following the acquisition of the building by the Fondazione Cassa di Risparmio in Bologna, in 2005, a project of renovation was conceived (approved by the Authority for Architectural Heritage and Townscape of Bologna) which not only oversaw the restoration of the architectural heritage buildings, but a did a wider enhancement of the same, with the aim of turning it into a multifunctional focal point, at both national and international level, and make of it a new centre of art and culture. 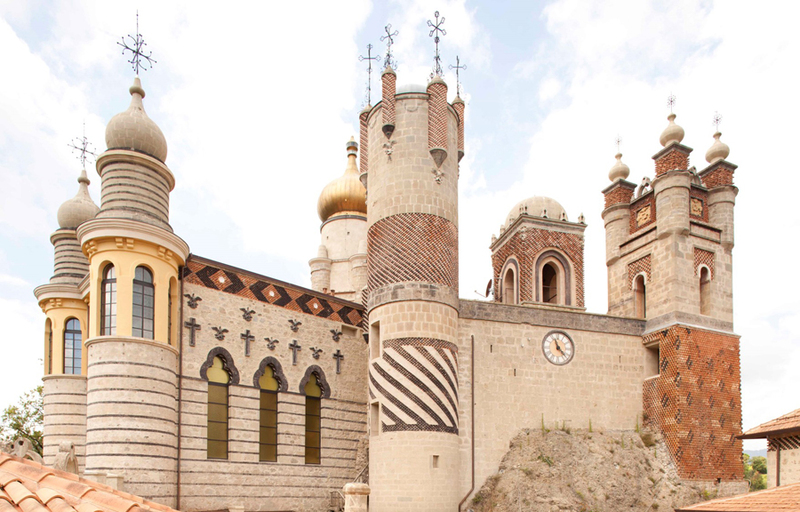 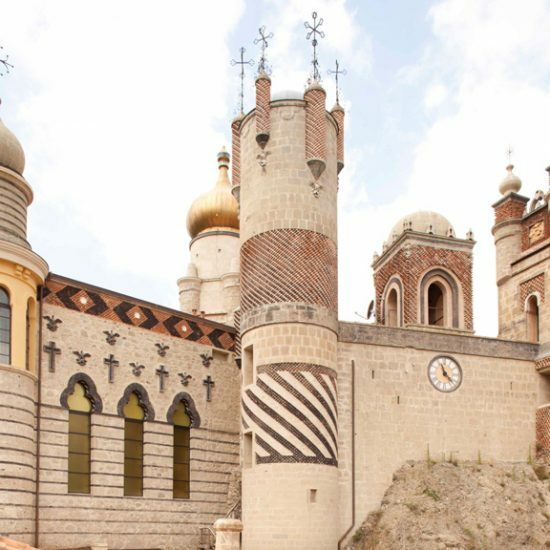 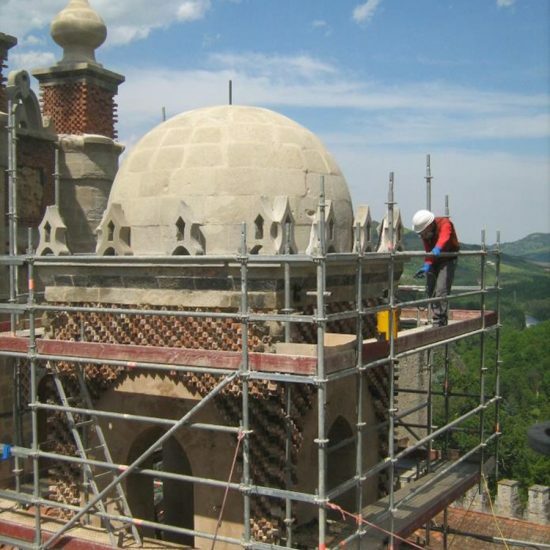 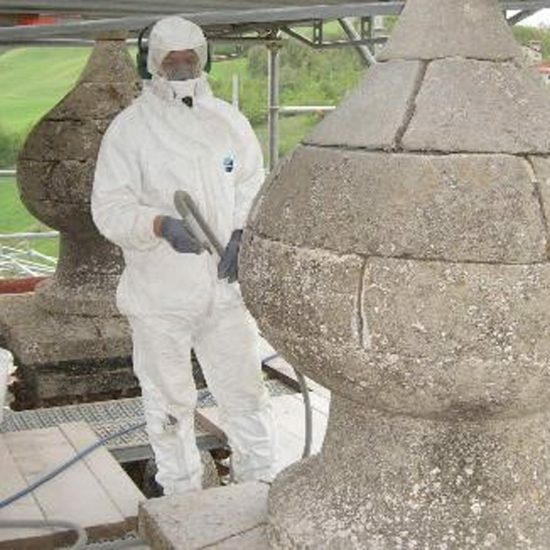 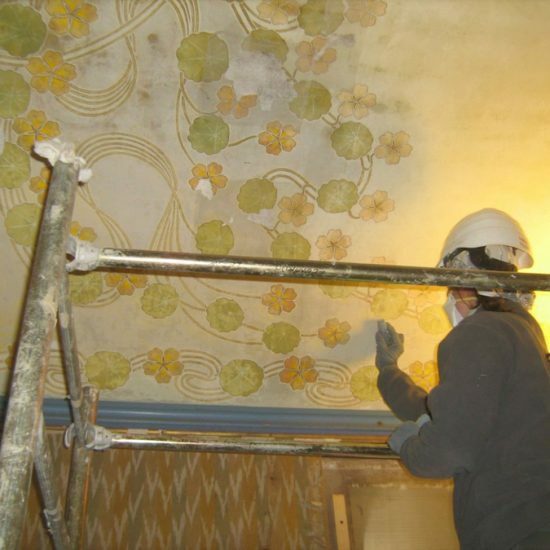 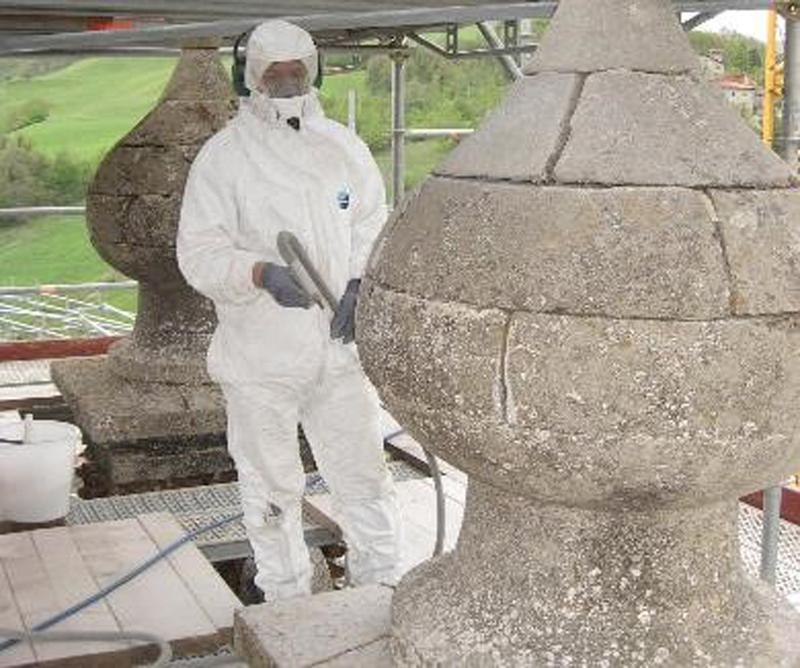 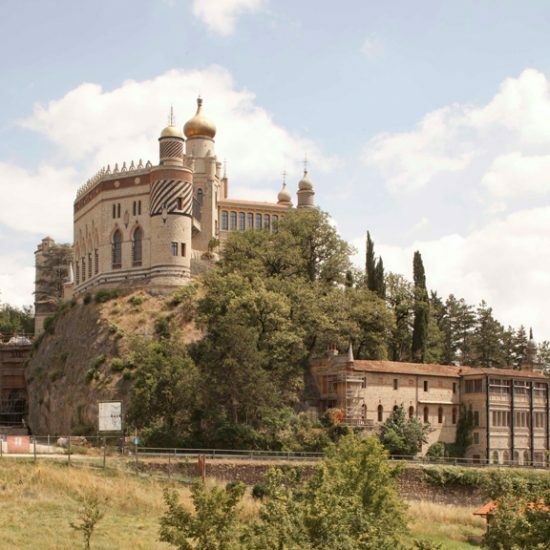 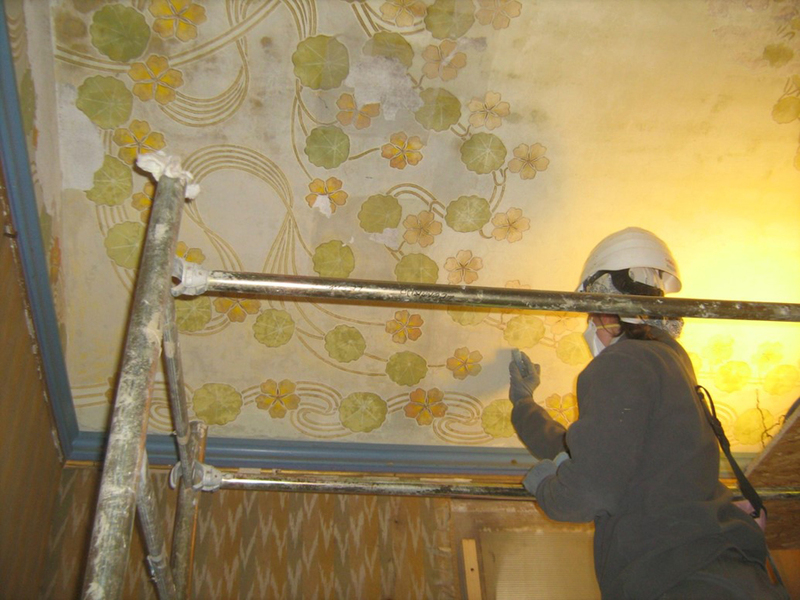 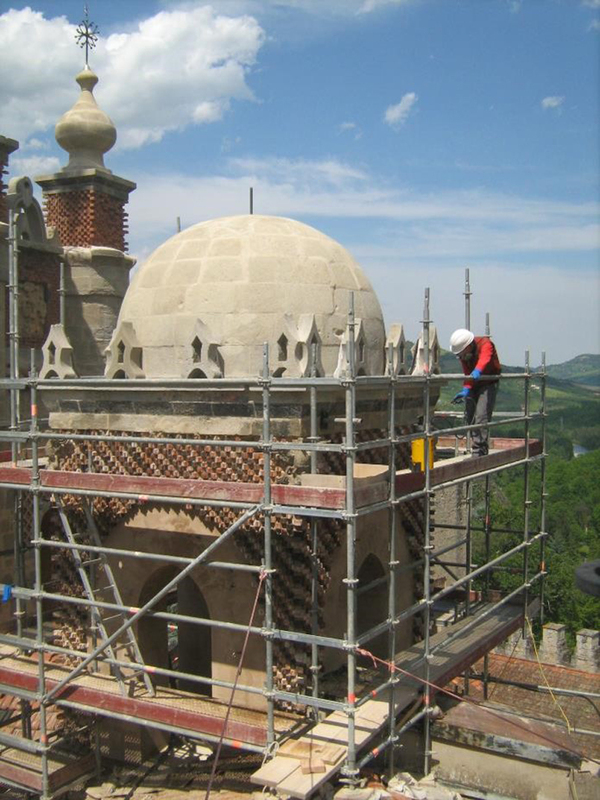 The restoration of the external surfaces of the Rocchetta Mattei was performed in various operations and became a particularly complex one, due to the heterogeneity of the materials present, the construction techniques and the seriousness of the decay, due to the building’s exposure to atmospheric agents, which had accelerated the natural process of deterioration, amplified by the context in which the entire building finds itself.